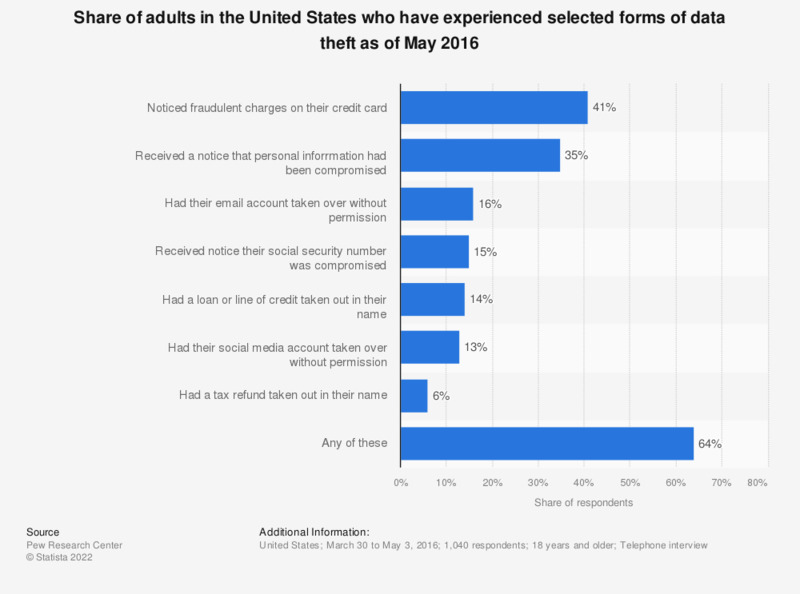 This statistic shows the share of adults in the United States who had fallen victim to a one or more selected forms of data theft as of May 2016. As of the survey period, 41 percent of respondents had noticed fraudulent charges on their credit card. Who do you think should inform you if information that is held about you is lost or stolen?